Bright Horizons Healthcare helps hospitals be employers of choice through benefits that matter. More than 175 hospital systems trust Bright Horizons for work/life, financial wellness, and educational assistance programs that attract talent, create lasting loyalty, and inspire employees’ best performances every day. Korn Ferry Health addresses the critical challenges healthcare clients face through comprehensive strategy, implementation, and optimizations services that achieve people and organizational success. Korn Ferry is a global organizational consulting firm. We help companies design their organization – the structure, the roles and responsibilities, as well as how they compensate, develop and motivate their people. As importantly, we help organizations select and hire the talent they need to execute their strategy. Our approximately 7,000 colleagues serve clients in more than 50 countries. Gallagher’s Healthcare Practice focuses exclusively on the healthcare industry. Our total rewards approach encompasses governance/strategy consulting, culture transformation & organizational development, executive search & interim staffing services, executive & physician compensation, employee engagement, patient satisfaction and population health risk management, compensation surveys and benefit plan designs. Talent Plus is the Leading Talent Assessment Partner in health care. Our scientifically-validated assessments identify the talents needed to select, develop and retain world-class employees. Through The Science of Talent, our client partners see reduced turnover, increased engagement and an improved patient experience. The Achievers Employee Engagement Platform combines an award-winning employee recognition and rewards solution with an active listening interface to accelerate employee engagement. Designed for today’s workplace, Achievers’ innovative cloud-based platform can increase and align employee engagement to business objectives and success. It empowers employees to recognize and reward each other in real time and aligns employees with company values and goals. The Achievers platform inspires employee loyalty, engagement, and performance. The Marcus Buckingham Company, an ADP® Company, helps organizations breakthrough performance boundaries. Our StandOut® solution activates talent by infusing engaging coaching with technology to give team leaders the tools, insights, and data they need to drive results. Based on decades of research from Marcus Buckingham, StandOut offers solutions for development, engagement and performance so you can create more teams like your best teams. B.E. 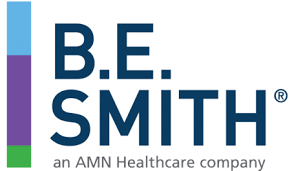 Smith specializes in Interim Leadership and Executive Search solutions. 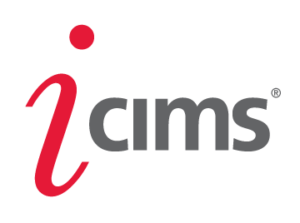 Our unique personalized methodology results in the successful placement of C-suite leaders, executives, and directors in finance, operations, nursing, and physician management. The proven process is supported by a pay-for-performance fee structure and one of the best guarantees in the industry. Cielo is the leading provider of scalable talent acquisition solutions to the Healthcare industry. More than a partner, a relationship with Cielo Healthcare grants you access to trusted strategic advisors. Cielo Healthcare’s service approach, We Become You, makes us a true extension of your HR team. Through a recruitment partnership, our clients gain access to a team of experts who possess an unparalleled depth of healthcare expertise and who are guided by an Advisory Board of global industry leaders. KinderCare Education® is an experience-based provider of early education and child care, serving 170,000 families every day where they need us: in neighborhoods with our KinderCare® Learning Centers for children six weeks to 12 years old, at work through KinderCare Education at Work™ offering family-focused benefits for employers including on-site and near-site centers, tuition benefits, and back-up care, and in local schools with our Champions® before and after-school programs. To learn more, visit www.kindercare.com/atwork. Strategic Management Decisions is an employee survey and assessment company that delivers results, not just insights, via its patented cloud-based technology. SMD identifies the cause-effect relationships between talent assessments and business outcomes to ensure the surveys translate into analytics-based, actionable ways so that everyone down to the front line can work to improve specific business outcomes. The company recently launched its results-based pricing model, which guarantees business outcomes such as turnover reduction and improved patient satisfaction scores. Solomon Page Healthcare Group is one of the premier retained search firms in the industry with a long track record of success placing C-level and senior executives with hospitals, integrated delivery systems, medical groups, health insurance companies, Blue Cross Plans and all types of related companies and institutions. With over 25 years of global experience and industry specialization and working in all functional areas we utilize a comprehensive search process, our proprietary database and all the latest technology tools to deliver the best quality, diverse talent to our clients. We are currently working on the session title and bullets, but in the interim we can definitely say that it will be an Executive Recruitment topic, perhaps with a focus on the “war for talent”, the aging and retirements of the executive work force and solutions for providers. Sterling empowers organizations to make smarter, faster, and safer hiring decisions. We provide comprehensive and accurate background screening and monitoring for the evolving global workforce. Our 25,000+ clients trust us to create safer work environments and experiences. With 20 offices in nine countries and growing, Sterling conducts more than 100 million searches annually with a team of 4,000+ employees. Sterling is accredited by the National Association of Professional Background Screeners (NAPBS). 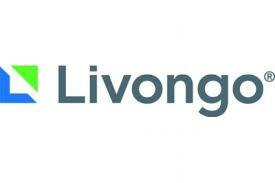 Livongo empowers all people with chronic conditions to live better and healthier lives. We reduce the daily burdens of people living with chronic conditions, starting with pre-diabetes, diabetes, and hypertension, by driving behavior change through the combination of consumer health technology, personalized recommendations, and real-time support at the point of impact. Our approach, powered by advanced data science, is leading to better financial and clinical outcomes while creating a better experience for all people with chronic conditions. Montage is the single solution to engage, interview and hire better candidates, faster. We partner with many of the world’s most well- respected brands, including 100 of the Fortune 500, to create the high-tech, high-touch hiring experience the modern candidate expects. As the pioneer of purpose-built video interviewing, we are committed to market driven-innovation, incorporating applicable science and data in our solutions to speed the process and improve the predictability of talent acquisition. We take a partnership approach because we sincerely want our clients to succeed – and believe in building relationships for the long term. SoFi at Work makes it easy for employers to reduce their employees’ student loan burden and build financial wellness. Over 650 leading companies offer our unique employee benefits, which include student loan contributions and student loan refinancing. Boost recruitment and reduce turnover by positioning your organization as an innovative forward-thinker that’s alleviating financial stress. TIAA (TIAA.org) is a leading provider of financial services in the academic, research, medical, cultural and government fields. TIAA has $1 trillion in assets under management (as of 09/30/2018) and offers a wide range of financial solutions, including investing, banking, advice and guidance, and retirement services. Visit TIAA.org/healthcareplansponsors to learn more. Trion Group, a Marsh & McLennan Agency, LLC Company is a leader in the employee benefits marketplace, developing innovative solutions that simplify benefits and risk management for local & regional health systems throughout the United States. Trion works with over 80 hospitals and health systems focusing on core services, such as; health and benefit plans, absence management & disability programs, ACO plan development, Pharmacy Benefit Management, ACA benefits administration, communications, and voluntary benefits services. Trion combine’s technical consultation, procurement, and administrative services to assist each hospital client reach a favorable balance between their long-term business strategy needs and employee satisfaction survey targets. HR Certification Institute® (HRCI®) provides professional development opportunities, including the world’s most sought-after certifications for HR and non-HR professionals in the U.S. and internationally. 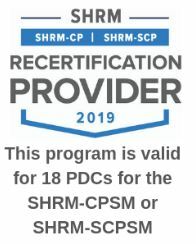 Along with certifications, HRCI makes on-demand professional development and assessment available through HRCI upSkill™, recognizing professionals for the latest in people management competencies that drive results. Learn more at www.hrci.org. Our Lockton Healthcare Practice understands the specific challenges and opportunities associated with being both a healthcare employer and provider. Leveraging our experience working with hospitals and healthcare systems across the country, our goal is to optimize the investment you make in your people. Working in collaboration with your human resources team, we design and implement customized solutions to enhance your employees’ experience and maximize your recruitment and retention efforts.